A Vancouver playwright, inspired by his father's work as a doctor in Afghanistan, is hoping his latest play will help others understand the sacrifices that medical professionals face in war zones. It was another sold-out performance, another long round of applause. It's something Sean Harris Oliver was getting used to seeing and hearing. But after the show was over, the 32-year-old playwright sat down with the actors, the director and the audience to talk about The Fighting Season, which just finished a 12-day run in Vancouver. One woman broke down in tears, telling him how the play's honesty had moved her. "As a young playwright and a young artist, I didn't know that the work I wrote out onto a piece of paper could affect people in such a deep way," Oliver said in an interview with CBC News, after the audience left. 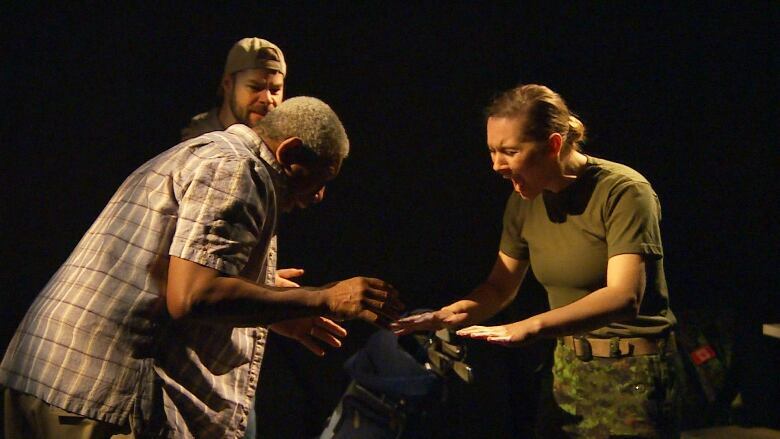 Oliver wrote the one-act play, focused on the trauma suffered by a Canadian army medic, a nurse and a civilian surgeon working at the Kandahar base hospital in Afghanistan, over the past few years, fine-tuning it as he went. Now it's winning awards and gathering good reviews — and he knows he has one person to thank for getting him started: his father. 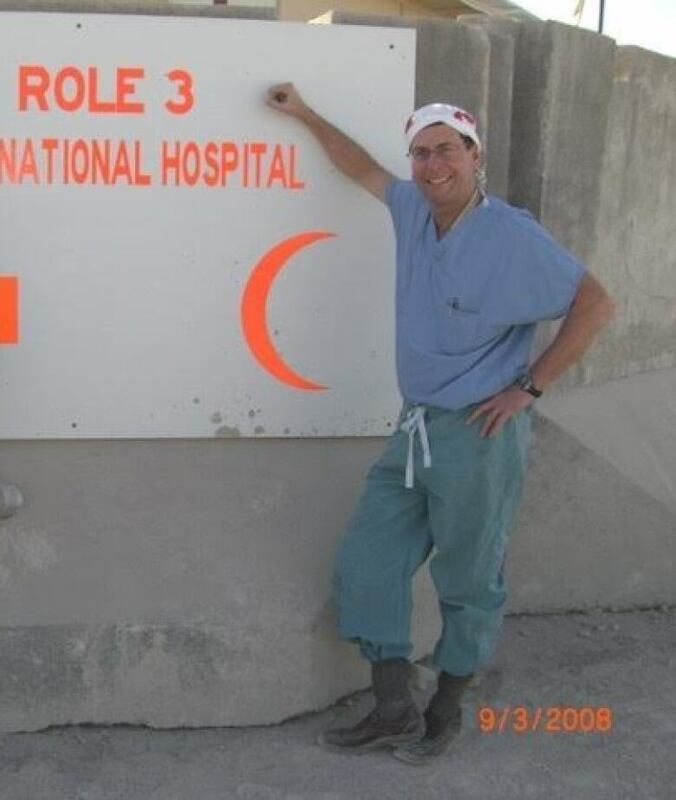 It was Dr. Jack Oliver's decision to volunteer as a civilian trauma surgeon in Kandahar in 2008 that prompted his son to start asking questions. Like one of the characters in the play, an orthopedic surgeon named Terry, Oliver said his father felt very strongly about deploying to help treat soldiers fighting in Afghanistan. "My dad was saying, 'I have skills, I am going to serve my country, I can help make a contribution.'" he said. "And of course, when he came back, he had changed his tune about that. There was a loss there. He went over all bright-eyed and he was going to make a difference — and he was a bit hardened by the experience." It prompted Oliver to start a conversation with his father. At Kelowna General Hospital, Dr. Jack Oliver leans over a patient about to undergo surgery and reassures her. "We've already operated on this one," he says, patting her left knee. "Now we are going to do this one." 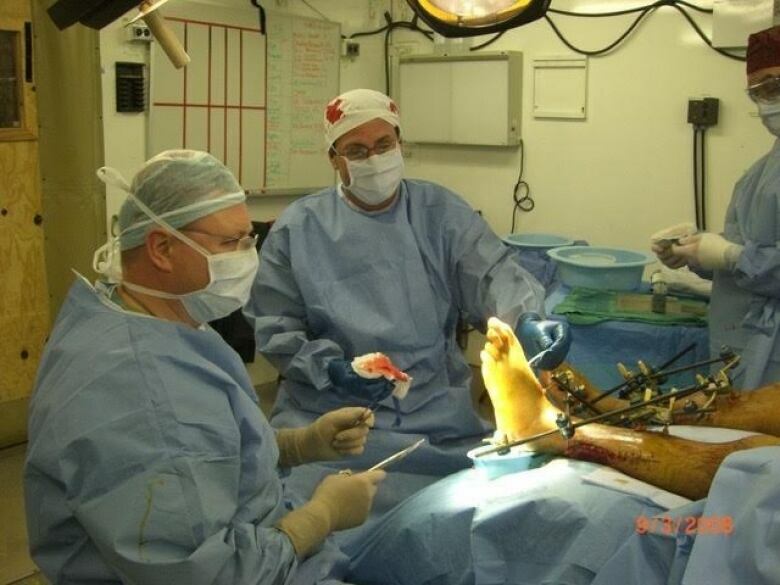 The elder Oliver has been an orthopedic surgeon since 1979, when he started working in Montreal. 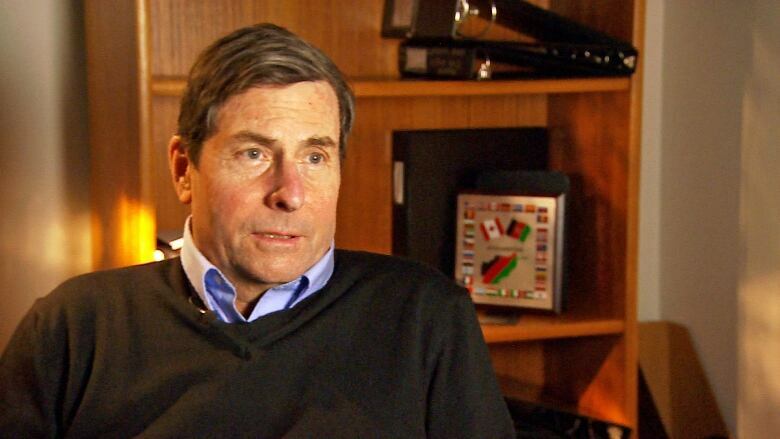 Back then, he was a consultant for pro athletes, including the Alouettes and the Expos. He has also treated Olympic athletes, including the famed downhill skiers the Crazy Canucks. His time in Kandahar was a sharp departure from all that, coming many years after he had moved to the Okanagan. "The injuries were horrific," Oliver told CBC, sitting in his office after a day of surgeries. "Because of the nature of the shock to the body from the explosive action of the IEDs [improvised explosive devices]." A certificate acknowledging his service in Afghanistan hangs on the wall, right next to his medical degrees. He does not agree with his son's assessment of how his tour to a war zone affected him. "My memories I have still, of course, they're very vivid. But I have not — fortunately, I think — dwelled on them. I mean I might have been a bit quieter. It was an event." When Oliver began talking to his father about his time overseas, Jack urged Sean to read books that other doctors had written about their experiences. Oliver soon realized there was a story to be told — an idea that crystallized as he listened to an episode of CBC Radio's White Coat, Black Art, featuring a medic describing his struggles with PTSD. "I said to myself there has to be a way to communicate this story so that people can understand what our health-care professionals are bringing back with them," Oliver said. He admits parts of the civilian surgeon's character are taken directly from his father, but he made the role much more intense, his character subject to abrupt mood swings. For the play's last performance in its current run, Oliver invited his father and mother, Laurie, to attend as special guests. It was, after all, was dedicated to both of them. As the final show ended, the actors bowed and the audience rose for a standing ovation. "Having seen the play, I think he brought out aspects of the experience for doctors, nurses, medics. I think he has brought it out in a very moving way and I'm proud of that." Oliver is hoping to produce the play in other parts of Canada, allowing others to learn more about the pain endured by those charged with saving lives shattered by war.